With new beauty launches being shoved to our faces on what it feels like a daily basis, I decided to start a series here on my blog to highlight the old favorites. Hopefully, that will inspire you to shop your stash, and used up what you have instead of trying to keep up with every new launch. To kick this series off, I chose an old favorite of mine: Nars Pure Radiant tinted moisturizer. Just like the name suggests, this is a tinted moisturizer which means it’s perfect for day to day use. It’s a lighter coverage product, that’s going to even out your skin tone, hide smaller blemishes and give you a nice radiant looking skin, nothing too dewy. If you suffer from acne or have severe blemishes, you might want to use a slightly heavier concealer on those areas you want to hide. It’s a buildable formula, so you can get extra coverage if you add more layers. It looks very natural and the skin, it gives you the “your skin but better” effect. It’s almost undetectable once blend it, which is perfect for the day to day makeup looks or the “no makeup makeup” days. It doesn’t feel tacky or like it’s sitting on your face, it’s truly a great everyday product. My only negative about the Nars Pure Radiant tinted moisturizer is the smell. It smells almost citrusy, kind of like the It Cosmetics CC cream if you’re familiar with that product. Although it isn’t bad per se, it is a little overwhelming. If you have sensitive skin that doesn’t react to well to fragranced products you might want to try it on a small area first. The packaging is minimal and efficient. A black plastic tube that makes traveling with makeup easy and fuss-free. Because it’s squeezable, it means that you can really use up almost all of the product inside. 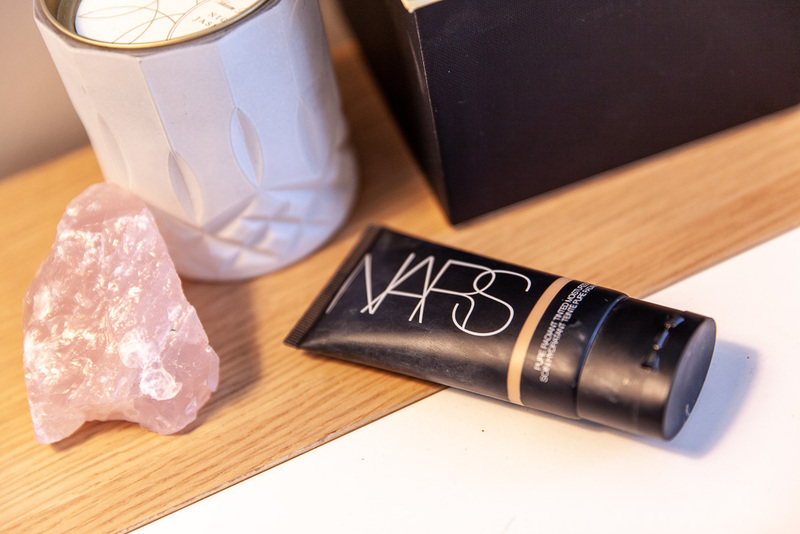 For the longest time, the Nars Pure Radiant tinted moisturizer was a cult favorite. But with all the new launches it kind of got pushed back, even in my beauty drawer. I’m making it a goal to finish up this tube before purchasing any new similar products. I really want to use up my products, and hopefully inspire you too to do the same. 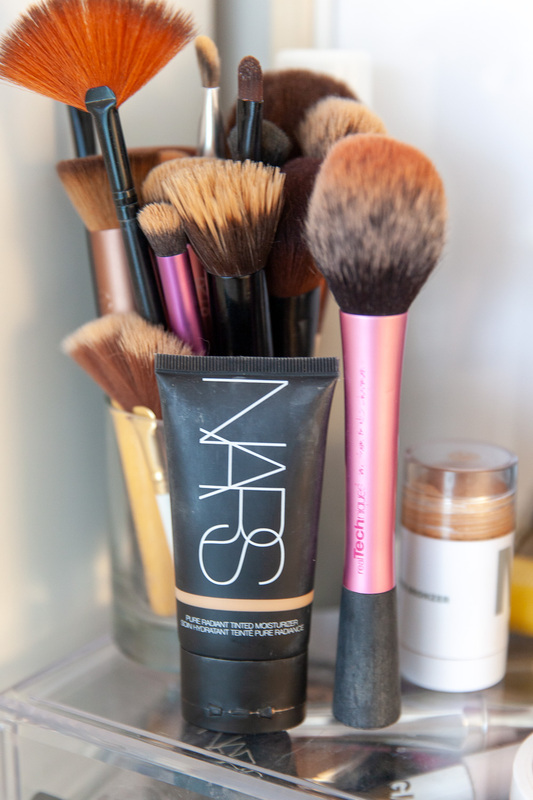 So if you have a Nars Pure Radiant tinted moisturizer tucked in the back of your vanity, dig out again and use it all up! I’ve been on the search for new foundations. With the menopause thing I’ve had issues. This will have to be my next attempt!! It’s a beautiful natural looking product. Definitely pass by Sephora to test out. This sounds so good!! I love tinted moisturizers in the summer…so light! True, they are a great product in the hotter months. You’re right, it is a shame! OMG! I use to love this tinted moisturizer, I don’t know why I stopped using it. Thank you for reminding us about it Tamara.